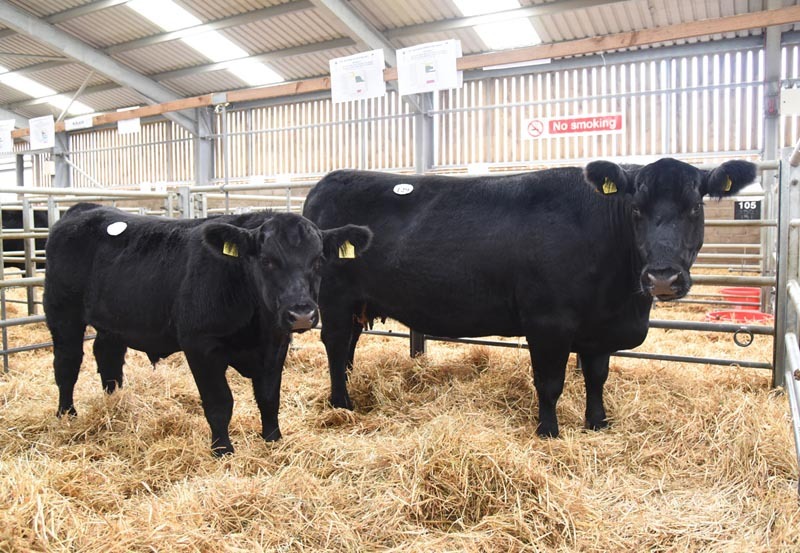 A new Aberdeen-Angus breed record for a female of 35,000gns was set on the first day of the Stirling bull sales. This was from the dispersal of the adult portion of the Blelack herd from Neil Massie and Sons, Aberdeenshire. The sale topper was the 2009-born cow, Blelack Lady Eraline J258 by ONeills Renovator out of Oneills Lady Eraline 100 which was imported from the United States as an embryo. The buyer was Hannah Heerman of Balavil Estate, Kingussie, Inverness. Her bull calf Blelack Lord Eston S649 by Hallington Principal made 10,000gns to Norbreck Genetics, Cockerham. Balavil Estate bought 26 animals to totalling 181,000gns including at 15,000gns the five-year-old cow, Blelack Miss Bangle L613 by Blelack Duke, at 13,000gns another five-year-old Blelack Eyrie L816 by Oakchurch Dominator and Blelack Toplass M899 by Blelack Duke and its heifer calf by Haymount Wavarlo at 11,000gns apiece. Also selling for 13,000gns was 2014-born Blelack Princess Caroline P304 by Blelack Evergreat was knocked down to R. Gardiner, Lynne of Skene, Aberdeenshire.